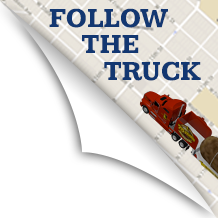 The Big Idaho Potato is tootling around Eastern Washington and Northern Idaho. We often like to go back to basics and spend time with consumers where they shop. This last week was just that. We didn’t only make those types of visits however, as we both started and ended our week with North America’s age old favorite pastime; Baseball. Just off of our break we started out in Walla Walla Washington. Walla Walla was the 2011 Winner of the friendliest town in the Country. Walla Walla certainly lived up to it’s name. We visited Walla Walla for a female baseball tournament. We also partnered with a local charity using our “A Big Helping.” This Big Helping was to bring awareness and help show community support for “Trilogy Recovery Community.” Trilogy helps youth cope with and overcome their drug and/or alcohol addictions, while offering compassionate support to their families. We ended our time with a visit to Harvest Foods, where the Big Idaho Potato made one of it’s solo visits while the Spud Studs and Larry took a day to enjoy Walla Walla. There are many activities to choose from in those areas and the three of us had to divide in order to conquer. Adam has family up in those parts and chose to spend a day with them. He might look tough, but he’s a big softy when it comes to family. Ellis took a bike ride up Hiawatha trail. Hiawatha trail offered him quite a few pictures that are certainly worth a few bragging rights. Being a truck driver has it’s advantages and it’s disadvantages. The advantages are that I get to honk the horn. The disadvantages are that I have the body of a truck driver. It isn’t easy staying in shape while working 70 hour weeks and eating truck stop foods. 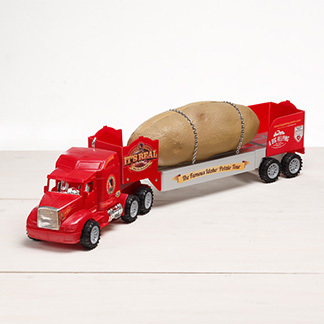 You wouldn’t believe how hard it can be to find a truck stop that serves their potatoes baked. Okay, sure…I’m pretty lazy too. You wouldn’t normally expect to find me wandering around on some remote mountain trail. Well, this weekend was anything but normal. Ellis insisted that I tag along to go see Mountain Goats on some “Pretty Easy” trail called Scotchman’s Peak. The trail number looked innocent enough, in that it wasn’t the number 13 or some other unlucky number. It was trail #65. Trail # 65, which is on Scotchman’s Peak, is much like walking uphill for 3 miles then looking at some of the best scenery you’ve ever witnessed all the while wondering if you’ll ever be able to hike back down again. It’s about what it must be like to eat chocolate cake while your on fire. Okay, so it’s not that bad and I actually loved every bit of it, but would it kill em to put in an escalator? 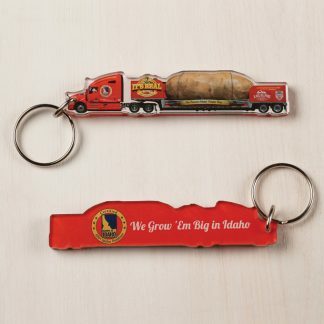 It is always a great time with the Big Idaho Potato and these days were no different. The Pacific Northwest is home to some really friendly people and some very awesome scenery. 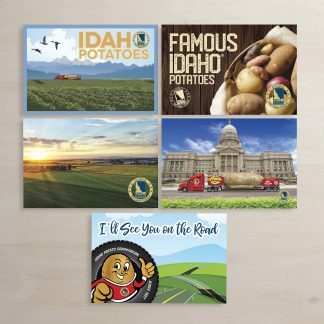 It was fun bringing them the Big Idaho Potato, interacting with both the believers and the ones who thought it wasn’t real, and it was fun enjoying their towns. Chalk another win for our Big Idaho Potato Tour. If I ever get the muscles back in my legs, from all that climbing, I plan on going back to hike more trails. For now though, it’s the elevator for me.